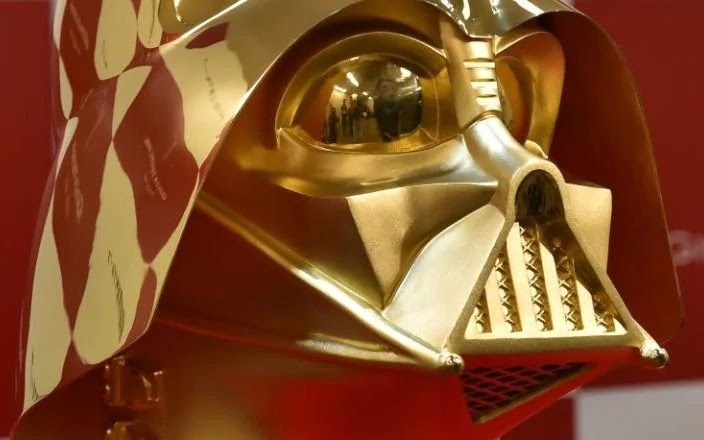 A solid gold Darth Vader mask has been valued at $1.4 million and is up for sale in Japan next month. Japanese jeweller Ginza Tanaka, located in Tokyo, has revealed a lifesize 24-carat gold Darth Vader mask and will go on sale in a week's time on Star Wars Day, May the fourth. Only one of these masks exists in the world and the gold head weighs around 33lbs. 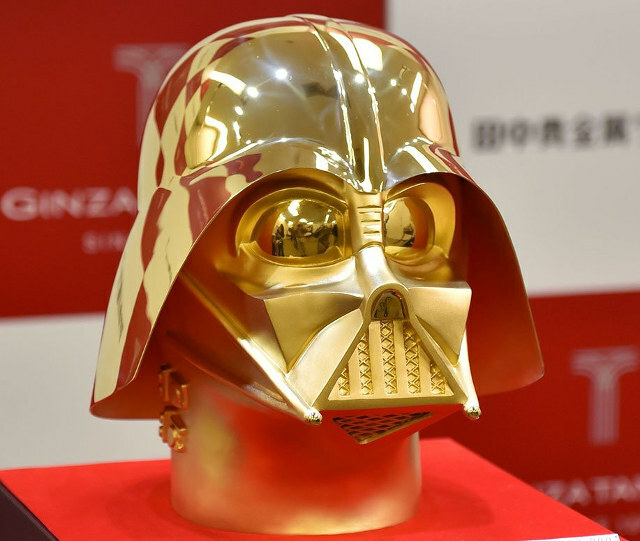 The Daily Telegraph has reported that more affordable sales from Tanka's jewellers will include a range of commemorative Star Wars gold coins celebrating the movie's 40th anniversary. What other surprises do you think will be laid in store for Star Wars Day in a week's time? Let us know in the comments below.